Membean, a vocabulary learning program used in Coppell ISD and elsewhere, is a big part of Coppell High School students’ lives. 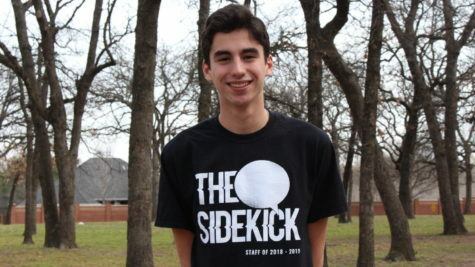 The Sidekick junior staff writer Nicolas Reyes explains the frustration and boredom this program give its users. 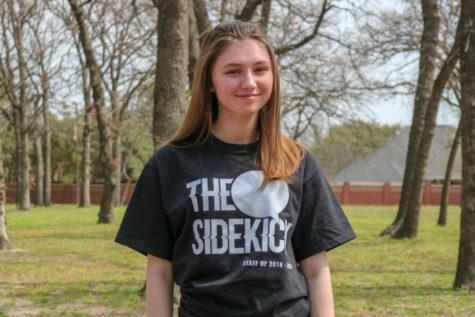 Coppell Observer is a humorous column about life as a teenager. Please be warned that any and all sass is due to the writers’ similar situation as teenagers (even though we feel so much older). You, the reader, should not take any of these words seriously. Seriously. If this article makes you laugh, leave a comment. A red-hot cinder block presses against my back every Tuesday evening. It not only adds to the weight of the world already crippling my spine, it scorthes and scars my will to continue with high school. “It is only 30 minutes,” they say; but they do not understand. To those of you who are not familiar with Membean, let me dampen your view of humanity. Teachers around the country assign students anywhere from 30-60 minutes a week; many teachers not only grade it by if the time is met but also on the accuracy of their practice. It is true a website that could make younger generations more well-versed would be beneficial, but Membean is not that website. A beneficial website would simply expect that the user learn the word, not have some sort of image tied to it. It would teach the student multiple connotations of the word. 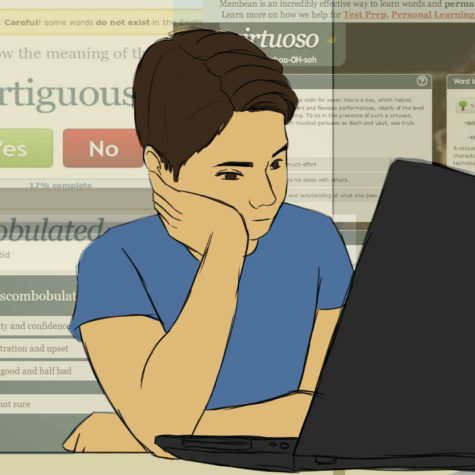 A beneficial website would not set up people on higher levels for failure by giving them harder assessments that are graded in the same manner of lower level quizzes. The crème de la crème of my weekly torture is the free-response questions. When one is given a new word on Membean one sees a video, the word used in a paragraph and a few quotes. However, peeking out behind the lines of words is an image the website somehow associated with the word and expects you to remember. Later, one will face a free-response question asking one to type the word associated with the picture. When one first gets the question, it may be easy; fast forward to when you have been assigned 30 more words and nine months have passed, recalling that one word is hard to describe. A picture is worth a thousand words, and on the flip side, a thousand words can be used to describe an image. Picture this, a red-faced man has his hands raised against his head as he appears to scream at his television. On his table there is a beer bottle, next to it presides a cereal bowl. What word does this image generate in your head? The word dissonance does not instantly come to mind when one is slapped with a 10 letter blank and that image. When I inevitably miss the question, and the horrid box proclaiming that I am further from my 85 percent accuracy goal appears, a few words do come to mind. Among them are fury, surrender and anguish. Membean offers six levels ranging in difficulty (level one being the easiest). When you first make an account, you take a placement test to know which level you will begin on. I am proud to announce I was gifted with the opportunity to retreat from the level I was on. I am no longer a four. Dear world, I have been rebirthed as a level three-er. However, I am empathetic and feel a responsibility to be the voice of the people who made the same mistake as I did years ago. I am the voice of the people who made the grave mistake of trying; those who thought trying to be placed on a higher level would aid efforts in the SAT and ACT, those who somehow though it would help them on the quizzes given by Membean. Many of us did not realize it, but the worse you do on the placement test and the more time you take to learn your vocabulary, the easier the quizzes. To put it simply, the closer you bring yourself to illiteracy, the higher your grade. Membean makes the quizzes harder as you reach higher levels and therefore is inadvertently teaching students that the lower they set the bar, the more likely they are to succeed. Random images. Unfair grading. A punishment without escape. How much more can we take? To those of you suffering from the burns of the “cinder block”, push through and aid your falling classmates. Through all the pain, you will never walk alone. Someday, change will come. By the way, this is your weekly reminder to do your Membean. I love this! This is so different from what you usually write and it came out so well. Definitely something every CHS student can relate to. We’re definitely working on the issue with images, and have some upgrades coming out this year that we’d love to hear your feedback on. Well played! Keep up the great work. This was very enjoyable to read. Good work! When you have ADHD and you are given no time to process the words and all of the attendant “noise” associated with learning them like looking at pictures, playing a hangman type-game and counting blanks; it is a ridiculous nightmare. Somehow you fall back to a Level 2 or 3 and your English grades take a beating. You begin to study for the SAT the old-fashioned way and learning vocabulary becomes quick and painless. You get 5s on your AP tests and a 1320 on the PSAT. Death by Membean, indeed. This was a great read!